Posted On June 12, 2015 by &filed under Criminal Law News. A man was today awarded death sentence for mudering his wife and their maid at their residence in the city about five years ago by hiring a contract killer. 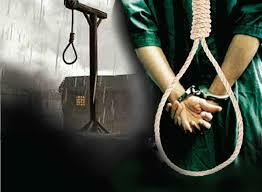 The contract killer Somnath Tanti was awarded life imprisonment by the Alipore Judges Court. Judge Siddhartha Kanjilal, delivering the judgement, said it was a rarest of the rare case as the the two little children of the couple Abhik Ghosh and Moushumi Ghosh were deprived of their mother’s love at an early age when needed most and the murder was pre-planned. The judge said that he had no other option but to pass the death sentence against the accused. To Ghosh’s repeated pleadings before the judge that he did not commit the crime, the judge said that the court had enough evidence to come to the conclusion that he had planned the murder of both the persons. The same court had held Ghosh and Tanti guilty two days back. 118 queries in 0.409 seconds.